Interview with Corey Feldman, Jamison Newlander, and Brooke McCarter! 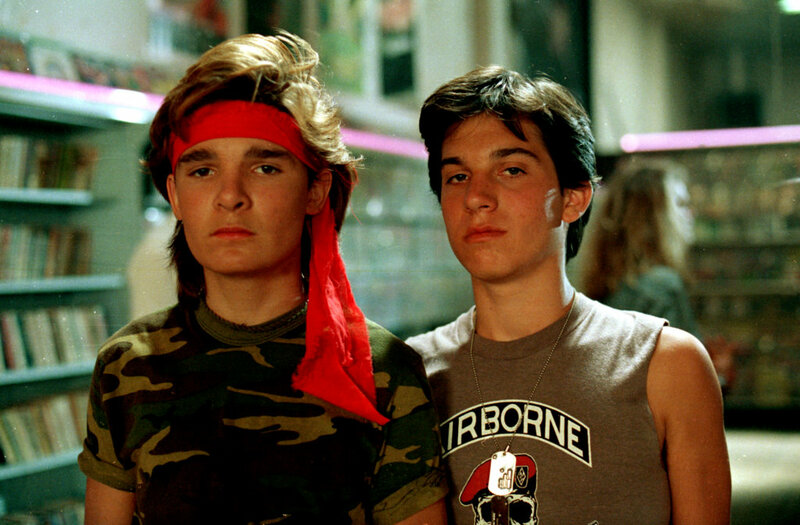 I had the extreme pleasure to sit down with actors Corey Feldman, Jamison Newlander, and Brooke McCarter and discuss their roles in the 1987 iconic vampire film ‘The Lost Boys‘. Feldman and Newlander of course play the Frog Brothers in the film and McCarter played the vampire Paul (the vampire who was killed when the dog jumped on him, causing him to fall in the tub.) These good people were in town for a horror film festival called Twisted Tails Film Festival. We discuss ‘The Lost Boys‘, Corey Haim, Michael Jackson, there favorite scenes in movies, ‘The Goonies 2‘, and much more. Enjoy. This entry was posted on Sunday, December 7th, 2014 at 11:04 am	and is filed under Film, News. You can follow any responses to this entry through the RSS 2.0 feed. You can skip to the end and leave a response. Pinging is currently not allowed. « Marvel’s ‘Jessica Jones’ Is Cast For Netflix Series!! !